At her very young age Scarlet Snow Belo is one of the most followed kid celebrity on Instagram with more than 3M followers. Scarlet is turning 4 on March 3, however, she received her advance party two days before her birthday which was attended by her classmates, and of course her proud parents Vicki Belo and Hayden Kho. 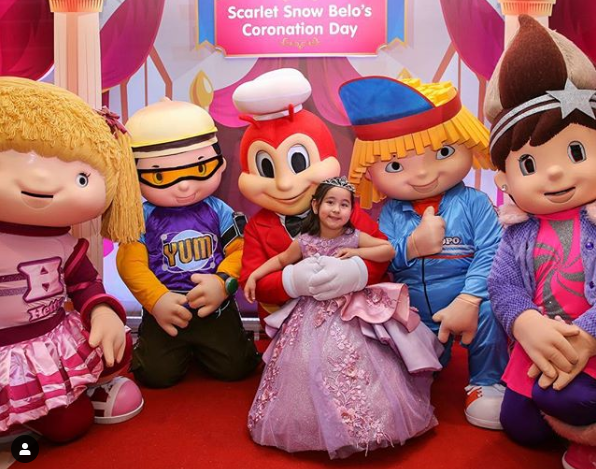 On Instagram, Scarlet shared her princess themed party together with JolliKid friends, Jollibee and his friends.